Exciting BlizzCon 2018 Announcements: World of Warcraft, Overwatch, and more! Over the weekend, Blizzard held their annual convention, BlizzCon, which focuses on the company’s various titles and what exciting updates coming up for them. I had the pleasure of attending the event and getting to see and play some of these updates first hand! Of course, everyone wants to know what Blizzard’s got cooked up next for their biggest franchises. World of Warcraft has a number of exciting stuff coming, including Tides of Vengance, the first content update for Battle of Azeroth. Players can look forward to the Battle of Dazar’alor raid, the Battle of Darkshore warfront, and more. WoW fans should definitely watch the cinematic, Lost Honor! Outside of that, WoW Classic is coming in Summer of 2019 and will be included with the World of Warcraft subscription. I did get to play the demo of Ashe! Not sure if the demo was particularly fair in my favor, considering the opposing team decided to only pick Brigitte, making my choice of testing Ashe completely useless. Regardless, she seems super fun! From a top-level perspective, think of her as a weaker McCree with a scope. Her dynamite is unique in that it explodes after a while, but it can also be detonated immediately by shooting it. Lastly, Ashe’s Coach gun is good for distancing herself from her opponents (and also good for the boops). Heroes of the Storm is getting a new hero, Orphea, who is a ranged assassin, and is slated to make her way to the Nexus later this month. As the daughter of the Raven Lord (hence her title, “Heir of the Raven Court”), Orphea has a very interesting backstory, and we encourage the fans who are interested in the lore of Heroes of the Storm to read the comics listed on her character page. There have been fan outcries for a brand-new adventure in the world of Diablo for forever. To many’s surprise, they’re getting just that in Diablo Immortal, the series’ first mobile MMO RPG, which is coming to Android and iOS mobile devices. As for other Diablo news, Diablo III Eternal Collection is now available for the Nintendo Switch! I also got to demo the game on the show floor, and I truly enjoyed it. That’s not all that Blizzard revealed last weekend! 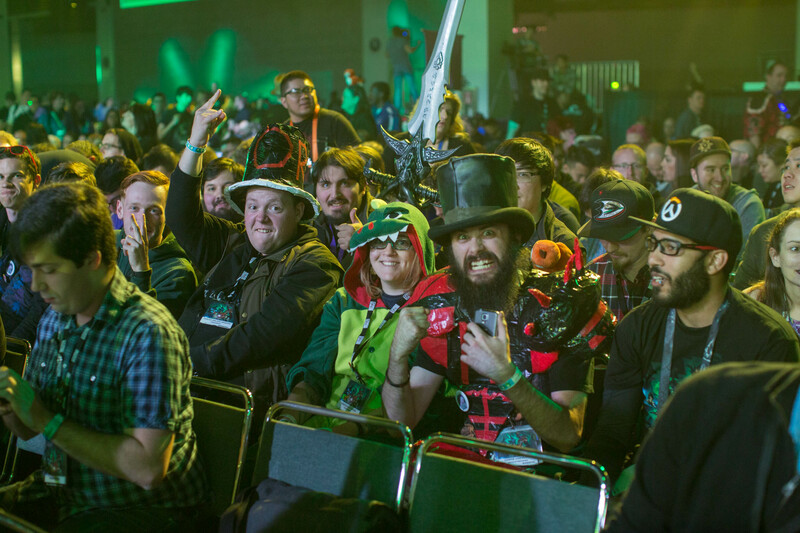 Check out the BlizzCon blog for all of the latest and greatest that came from BlizzCon 2018! Which was your favorite announcement? Let us know on our Twitter! Next article Gaming: Soul Calibur VI's Create-A-Soul CRAZINESS Has Us Shook! Previous article Tuesday Trivia: Dig Up Some Facts About Dexter's Laboratory!